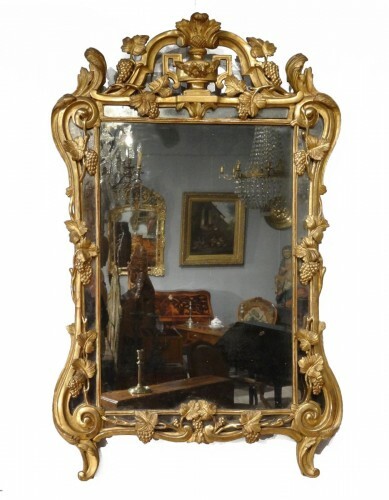 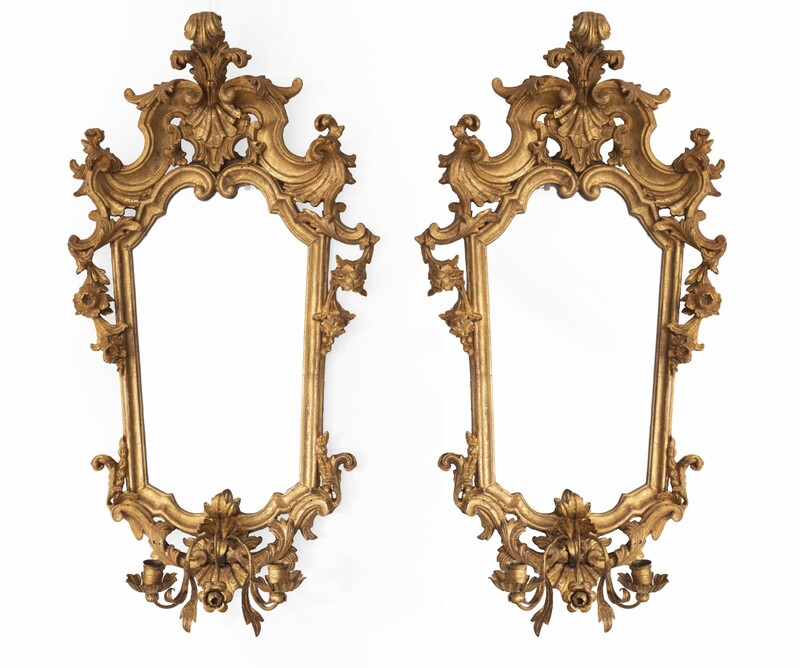 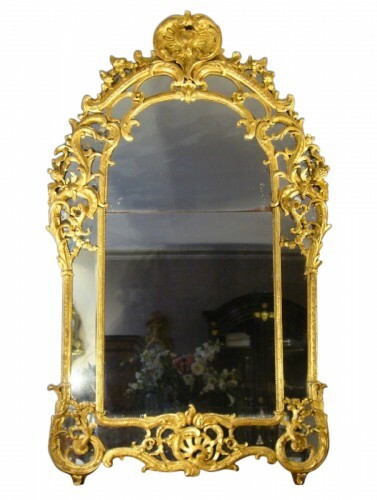 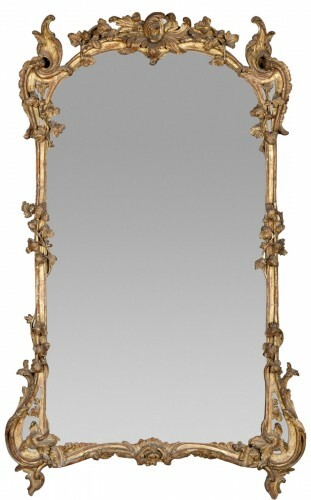 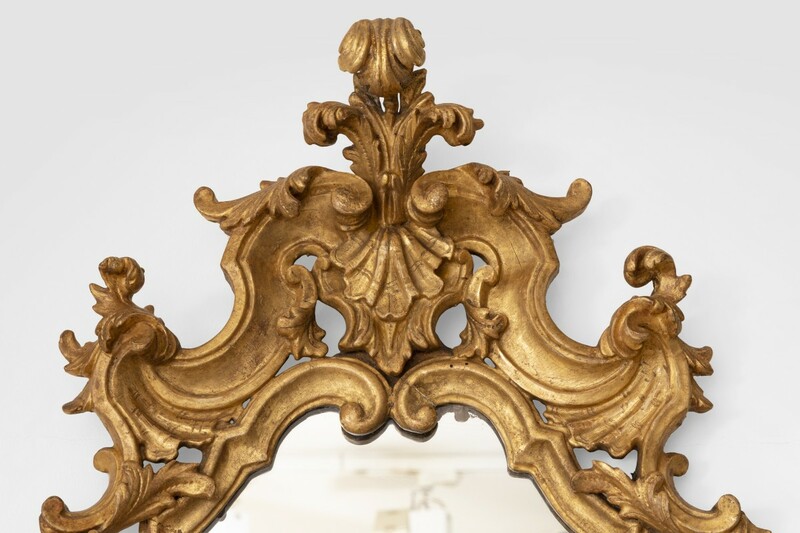 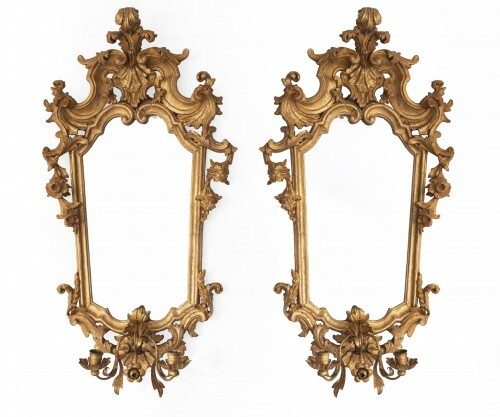 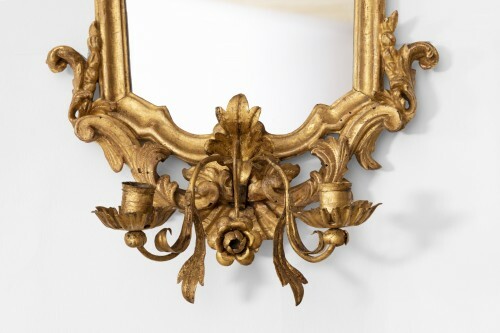 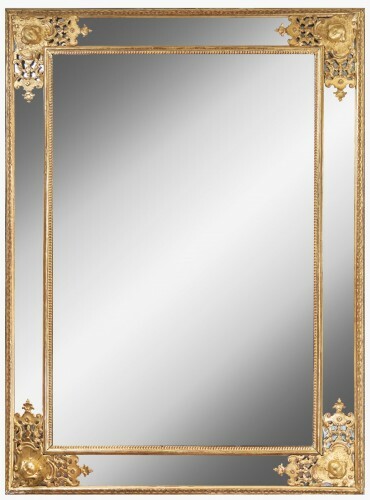 Pair of reflector mirrors in carved and gilded wood , in an openwork violin shape , decorated with scroll flowers and foliage , plumeted shell at the top . 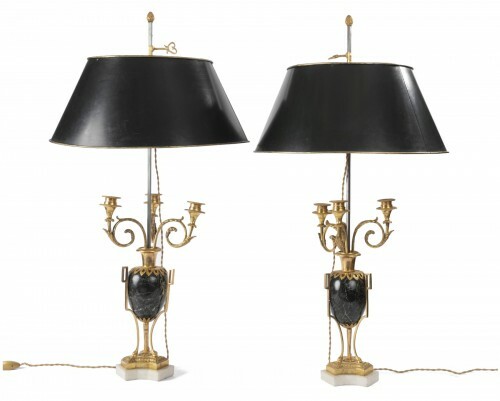 Reflectors in sculpted and gilted iron with two light arms separated by a flowered arm . 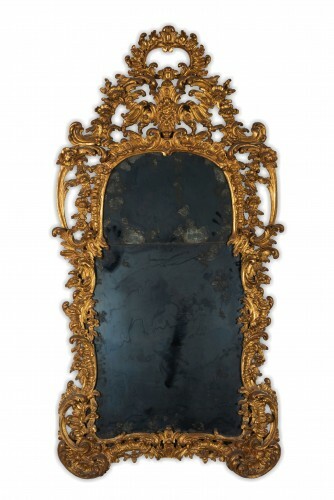 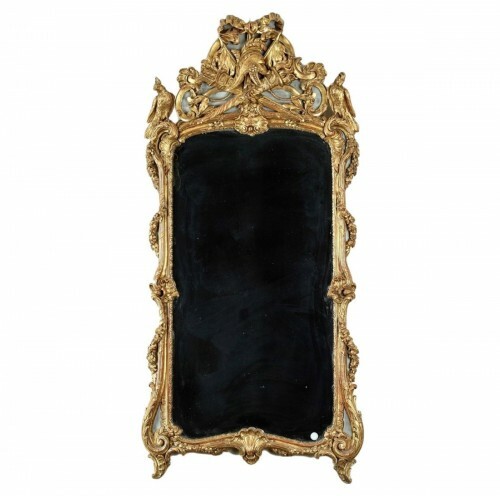 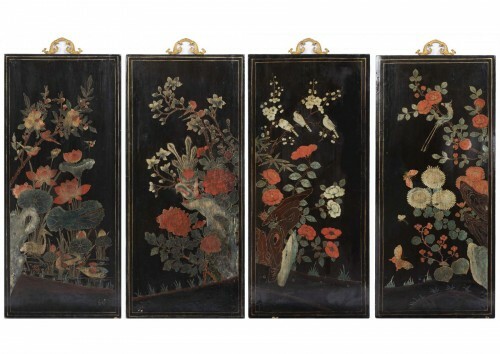 Italian work from the middle of the eighteenth century .